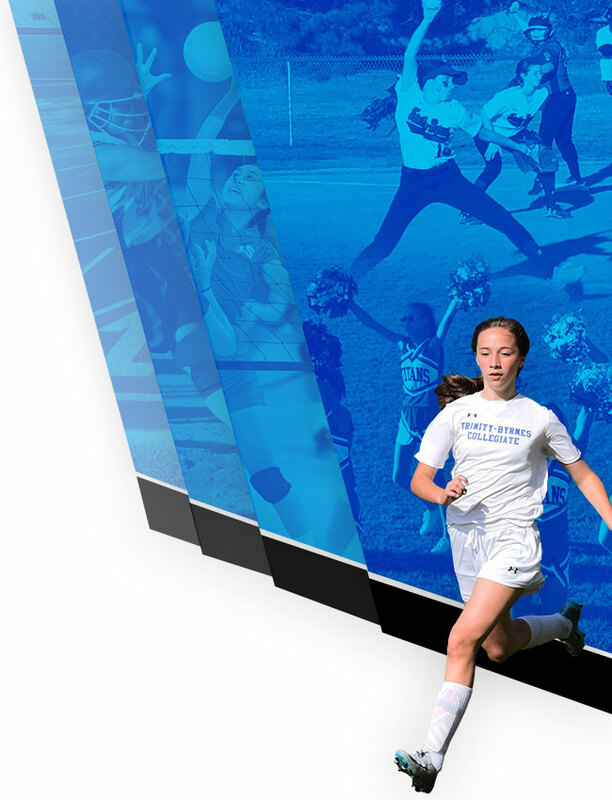 Varsity girls soccer defeated King’s tonight 5-0. Eliza Gregg Saleeby scored 2 goals and Caroline had a hat trick, scoring the additional 3 goals. Congratulations, ladies! 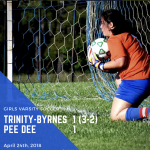 Varsity girls soccer defeated Kings tonight in penalty kicks. Kicks made by: Caroline Tatum and Sarah Elizabeth Price. Congratulations, ladies! 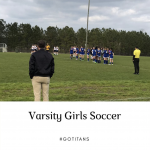 Varsity girls soccer defeated Pee Dee 4-2. 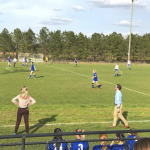 Laura Katherine Head scored 3 goals and Jennifer Rials added another. Congratulations, ladies! 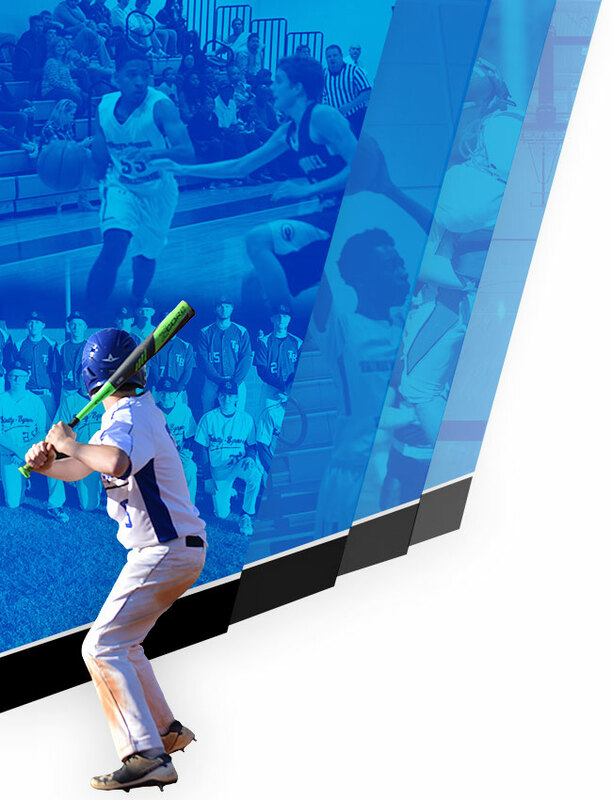 Congratulations to the following seniors: Vanessa Brown – Girls Soccer Eddie Buckhouse – Boys Soccer Jake Swartz – Baseball We are very proud of you! 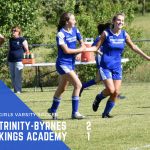 5.1.18 – Varsity girls soccer playing at Kings again this afternoon. 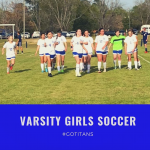 The Lady Titans come through again with another hard fought victory over the Lions, 2-1. 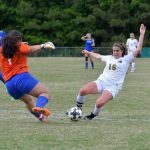 Caroline Tatum scored both goals and Vanessa Brown had 5 saves.